In a slight departure from how I do my Reading Awards and because I hate being so damn picky and because this really is a best of the best list for me, I’m going to be presenting the Top 6 here, not the Top 3. 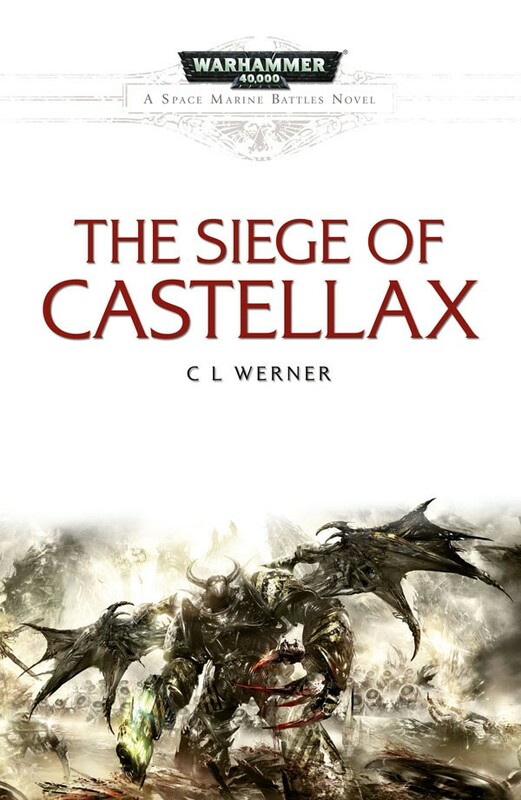 The list is also divided into three sections – Novels, Audio Dramas and Comics – each with two subsections – Top 6 and Honourable Mentions. And just to repeat, this is a July-December 2012 list. 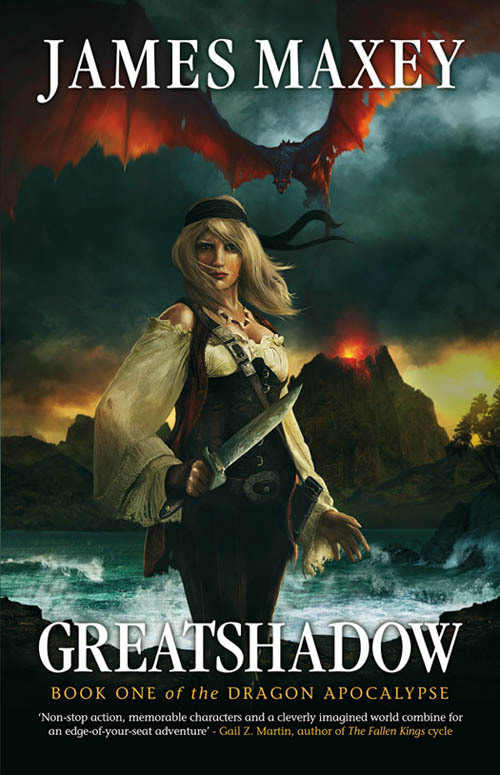 Greatshadow is the primal dragon of fire, an elemental evil whose malign intellegence spies upon mankind through every candle flame, waiting to devour any careless victim he can claim. 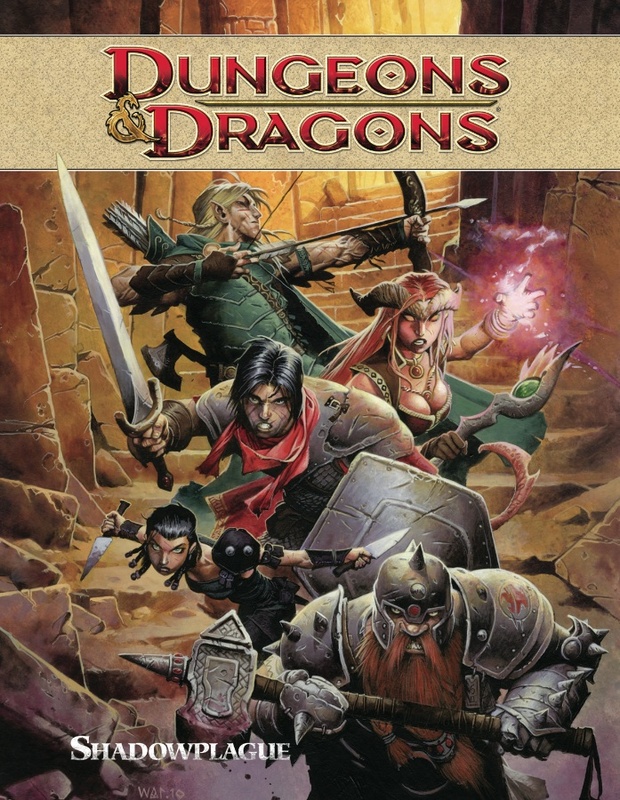 The Church of the Book has assembled a team of twelve battle-hardened adventurers to slay the dragon once and for all. But tensions run high between the leaders of the team who view mission as a holy duty and the super-powered mercanaries who add power to their ranks, who view the mission primarily as a chance to claim Greatshadow’s vast treasure trove. If the warrior fails to slay the beast, will they doom mankind to death by fire. Watch out, Universe, Jane Carver is back! But nobody keeps Jane from her man, even if he happens to be a purpleskinned alien nobleman. Against all odds, she returns to Waar, only to find herself accused of kidnaping the Emperor’s beautiful daughter. 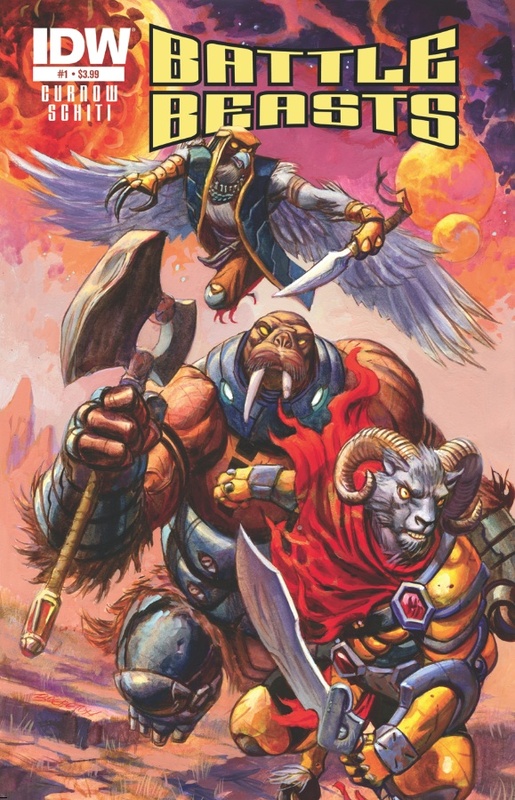 Allying herself with a band of notorious sky-pirates, Jane sets out to clear her name and rescue the princess, but that means uncovering the secret origins of the Gods of Waar —and picking a fight with the Wargod himself. 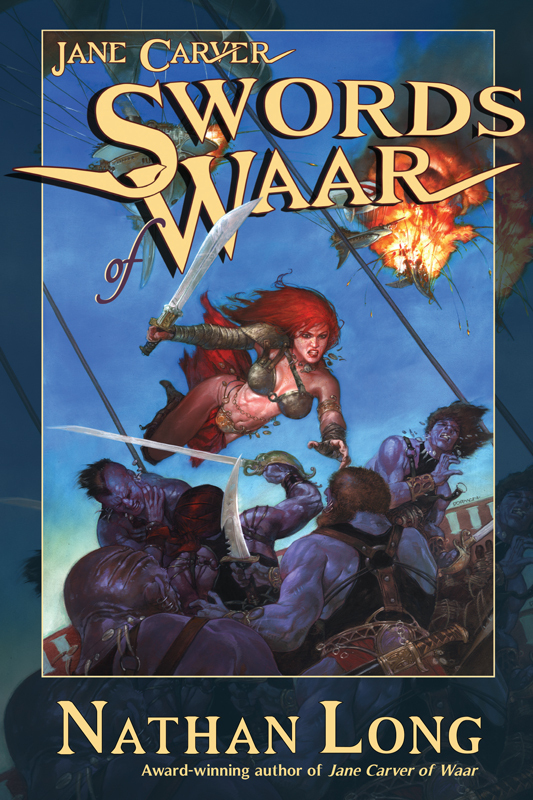 Good thing Jane is always up for a scrap . . . .
Swords of Waar is the wildly entertaining sequel to Jane Carver of Waar, and continues the raucous adventures of science fiction’s newest and most ball-busting space heroine. 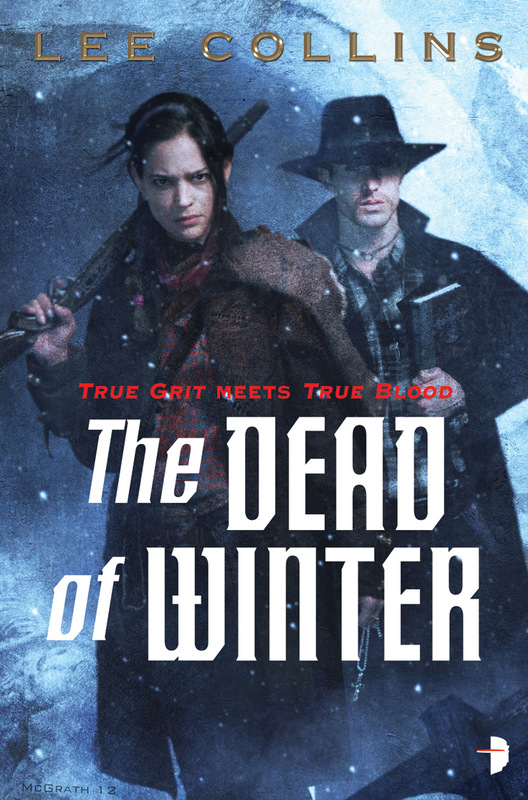 When Max is called in to help investigate the wholesale slaughter of a long-dead dwarf friend’s family, he thinks maybe he’s finally hit bottom. Then the love of his life — the elf who left him when their careers as adventurers ended — walks back through his door, desperate for his help and with nowhere else to turn. Dev is a smuggler with the perfect cover. He’s in high demand as a guide for the caravans that carry legitimate goods from the city of Ninavel into the country of Alathia. The route through the Whitefire Mountains is treacherous, and Dev is one of the few climbers who knows how to cross them safely. With his skill and connections, it’s easy enough to slip contraband charms from Ninavel—where any magic is fair game, no matter how dark—into Alathia, where most magic is outlawed. But smuggling a few charms is one thing; smuggling a person through the warded Alathian border is near suicidal. Having made a promise to a dying friend, Dev is forced to take on a singularly dangerous cargo: Kiran. 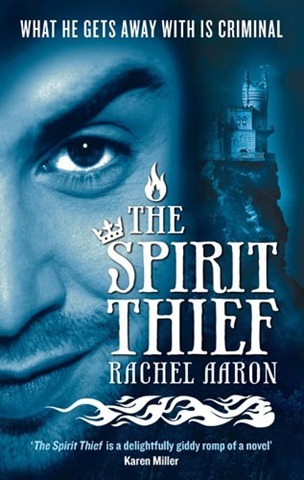 A young apprentice on the run from one of the most powerful mages in Ninavel, Kiran is desperate enough to pay a fortune to sneak into a country where discovery means certain execution—and he’ll do whatever it takes to prevent Dev from finding out the terrible truth behind his getaway. Yet the young mage is not the only one harboring a deadly secret. Caught up in a web of subterfuge and dark magic, Dev and Kiran must find a way to trust each other—or face not only their own destruction, but that of the entire city of Ninavel. HOME IS WHERE THE HERD IS . . . I didn’t listen to a lot of audio dramas/audiobooks this time around so this is only going to be a straight Top 6 list. Here is the novel that will be forever considered a triumph of the imagination. 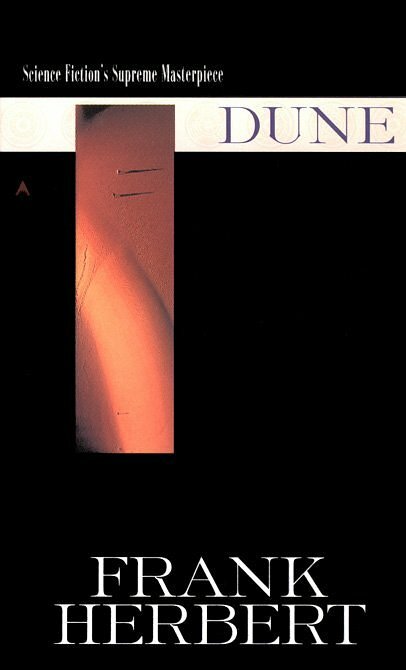 Set on the desert planet Arrakis, Dune is the story of the boy Paul Atreides, who would become the mysterious man known as Maud’dib. 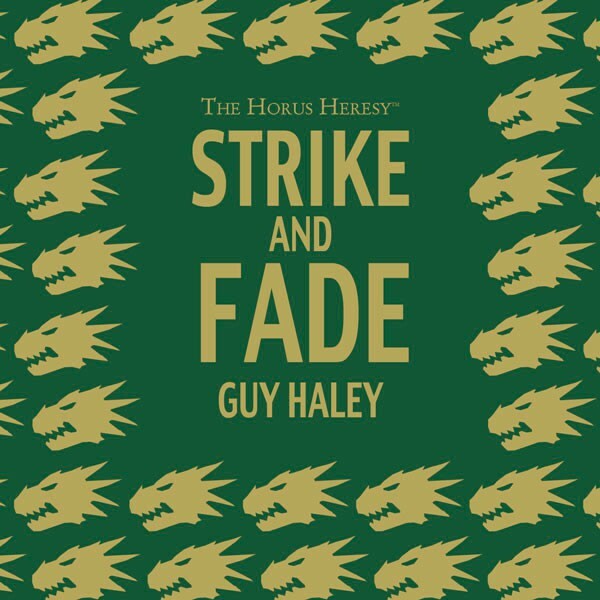 He would avenge the traitorous plot against his noble family—and would bring to fruition humankind’s most ancient and unattainable dream.A stunning blend of adventure and mysticism, environmentalism and politics, Dune won the first Nebula Award, shared the Hugo Award, and formed the basis of what is undoubtedly the grandest epic in science fiction. Frank Herbert’s death in 1986 was a tragic loss, yet the astounding legacy of his visionary fiction will live forever. In the aftermath of the Isstvan V massacre, a group of Salamanders survivors lay a trap for their foes, a group of unwary Night Lords on the hunt for easy prey. 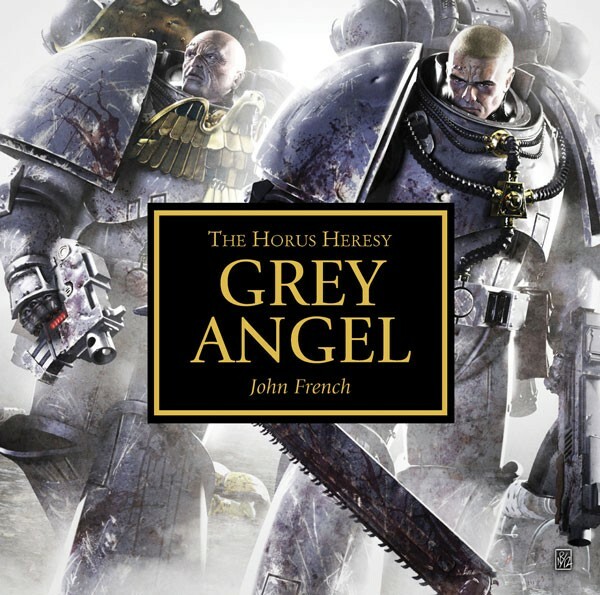 This is the fourteenth Advent Calendar 2012 story from Black Library and is a mini audio-drama for the Horus Heresy series. 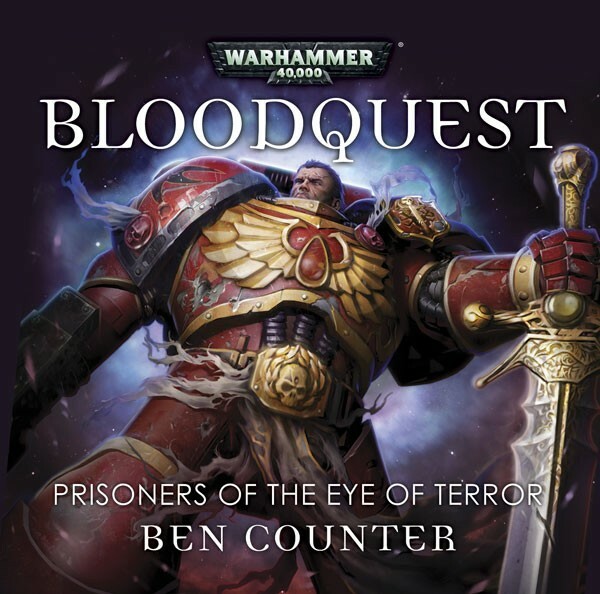 Travelling across the daemon world of Eidolon in search of the stolen Blade Encarmine, Blood Angels Captain Leonatos and his battle-brothers are saved from death by another servant of the Emperor, Murius Aquinam. To their surprise, they recognise his name – he fought alongside the Blood Angels four thousand years ago. 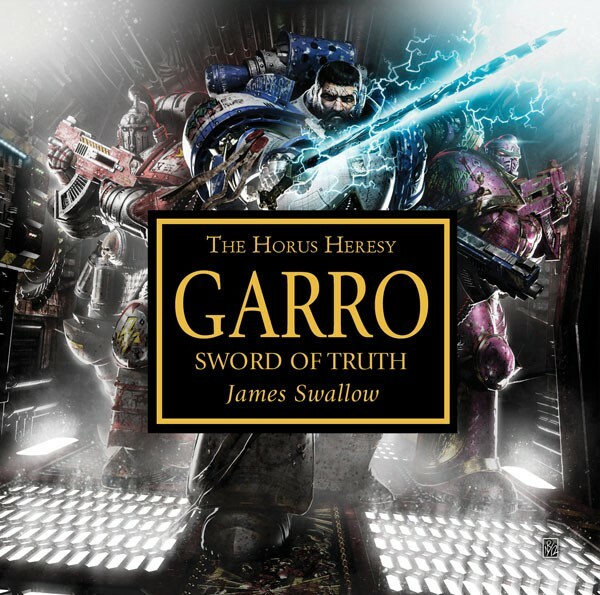 Can he still be trusted after four millennia in the Eye of Terror, or is he as much of a threat as the servants of Chaos that they fight? 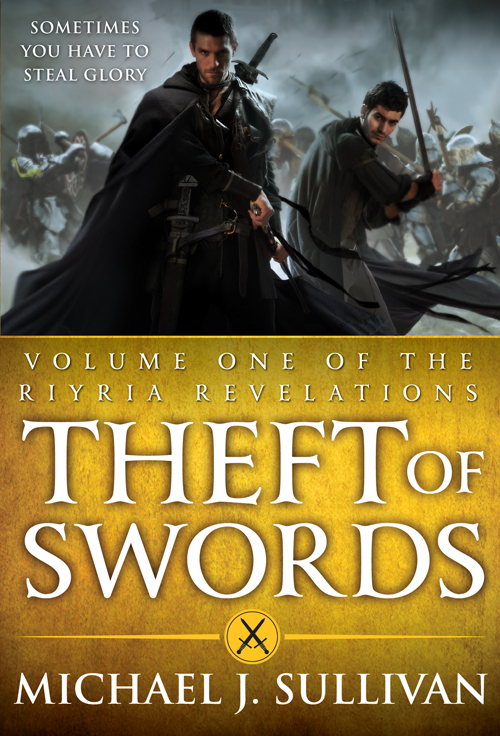 Acclaimed author Michael J. Sullivan created instant best sellers with his spellbinding Riyria Revelations series. 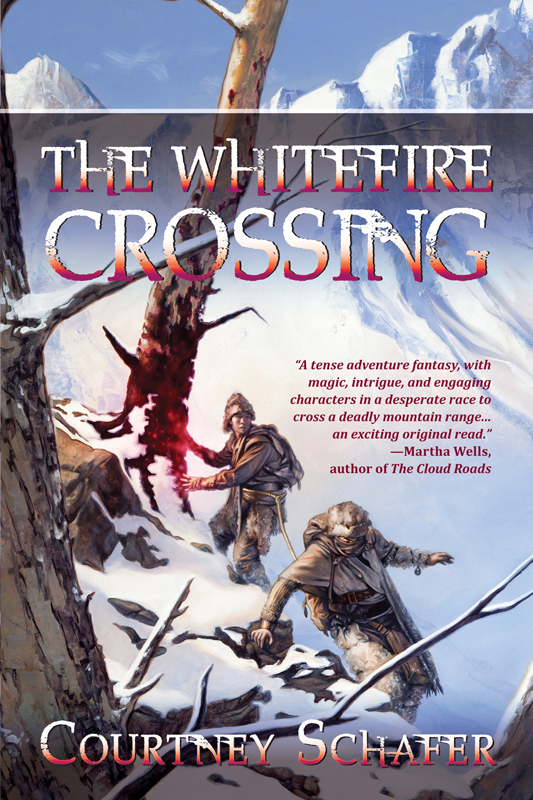 This first volume introduces Royce Melborn and Hadrian Blackwater, two enterprising thieves who end up running for their lives when they’re framed for the death of the king. 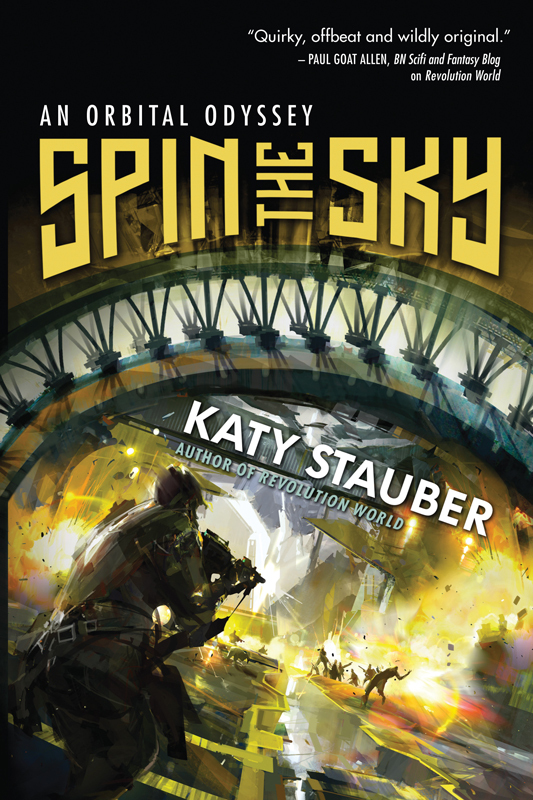 Trapped in a conspiracy bigger than they can imagine, their only hope is unraveling an ancient mystery – before it’s too late. 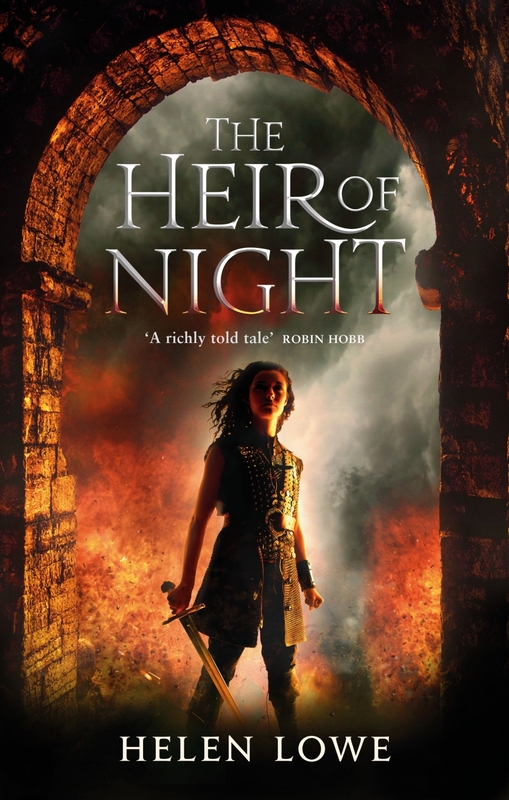 The omnibus contains The Crown Conspiracy and Avempartha, the first two novels of the Riyria Revelations series. Earth 2 has had to evolve under the constant threat of attack from Apokolips, and without the influence of its three greatest heroes. 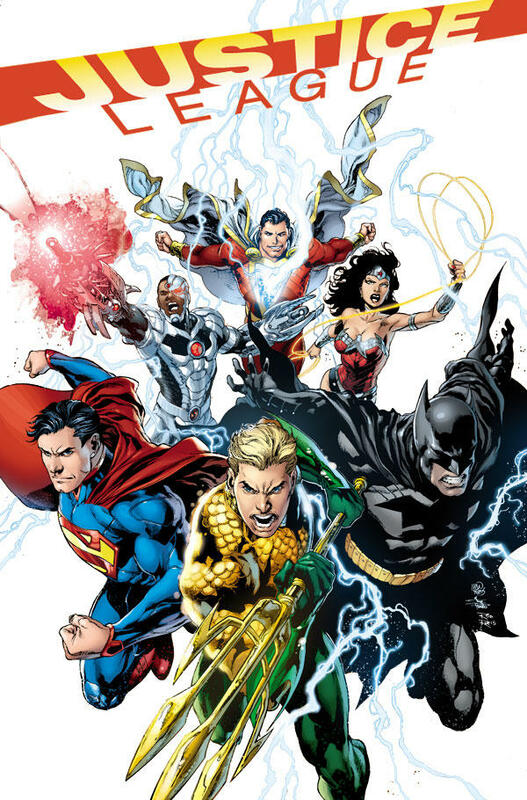 Many have bravely risen up to take this challenge including the Flash, Hawkgirl, The Atom, and The Green Lantern Alan Scott. 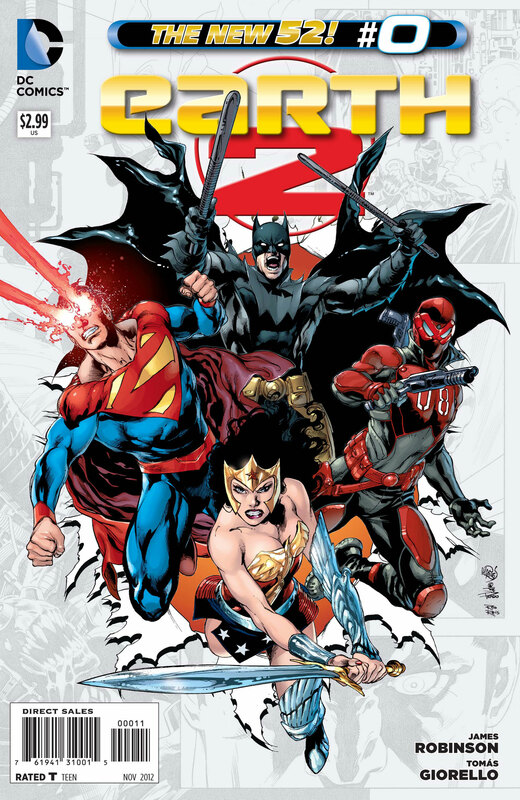 • This special zero issue is the tragic origin of Earth 2’s greatest villain! After the mysterious demise of Team 7 and on the run for a murder she didn’t commit, Black Canary became a rogue hero and focused her attention on parts of the criminal underworld that escape the grasp of most normal heroes. 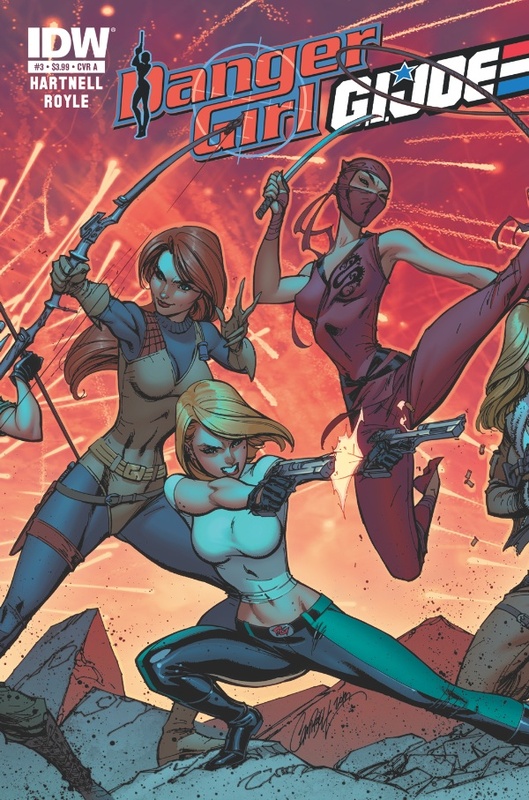 • But the first meeting of Black Canary and Batgirl…is not at all what you expect! 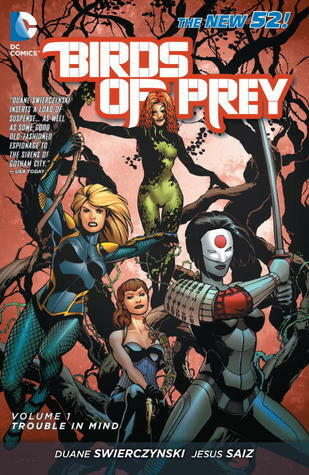 • This special zero issues tells how the Birds of Prey came to be after Team 7? And don’t miss the latest sensational chapter of the CRIMSON CORSAIR, from writer LEN WEIN and artist JOHN HIGGINS. Dive into the secret history of how Prince Adam’s trusted companion, Cringer, became the fearsome ally of He-Man known as Battle Cat! 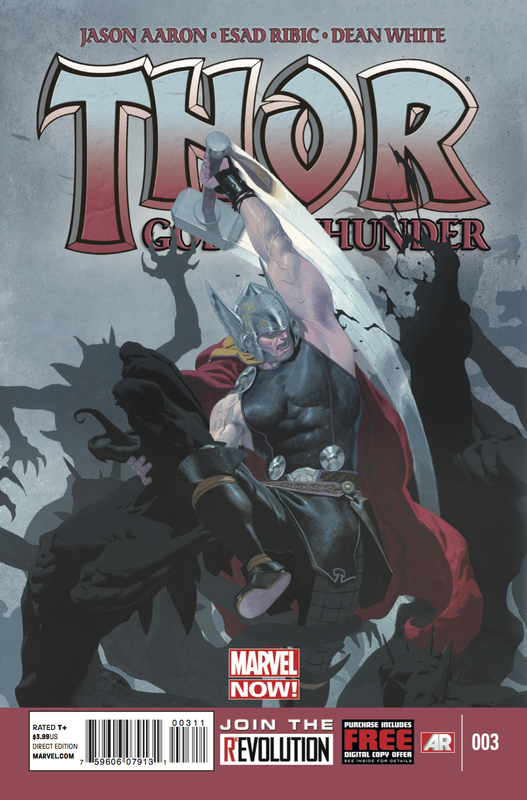 • Following the bloody wake of murdered gods across the depths of space, Thor tracks the God Butcher into the present! • Discovering a forgotten cave on earth that echoes with the cries of tortured gods…the Thunder God is shocked to find himself among them…! 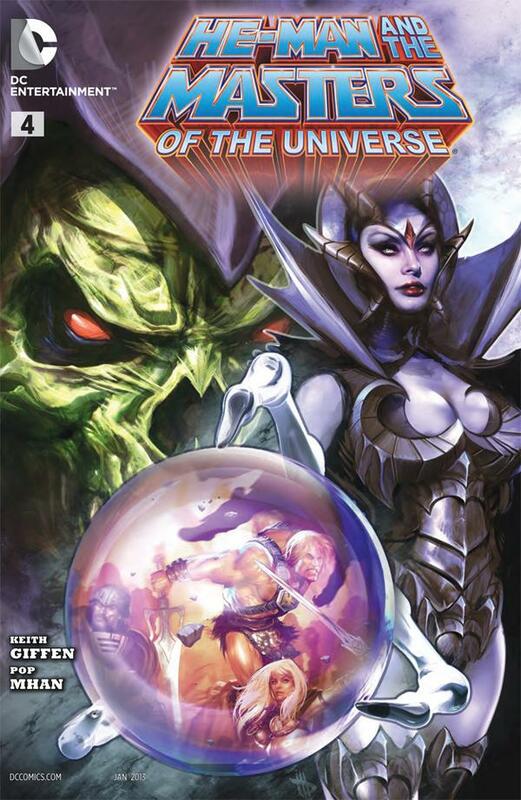 The brand new mini-series by James Robinson continues as Prince Adam begins to unravel Skeletor’s plots. The battlelines are drawn. With each passing hour, the sorcerer Kulan Gath uses the Mayan 2012 doomsday prophecy to push the world closer to destruction. 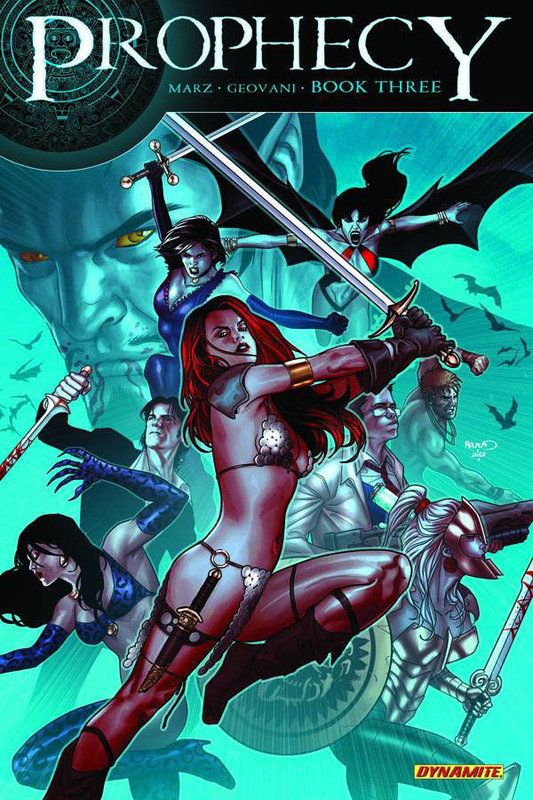 But his sworn enemy Red Sonja followed him through time itself, and has now gathered a team of allies to oppose Gath and his army of the dead. Joined by Vampirella, Dracula, Pantha, Herbert West the Reanimator and many more, Sonja has sworn to stop Gath, even if the cost is her own soul. Dynamite’s biggest crossover ever rolls on, masterminded by writer Ron Marz, with artist Walter Geovani doing the best work of his career! 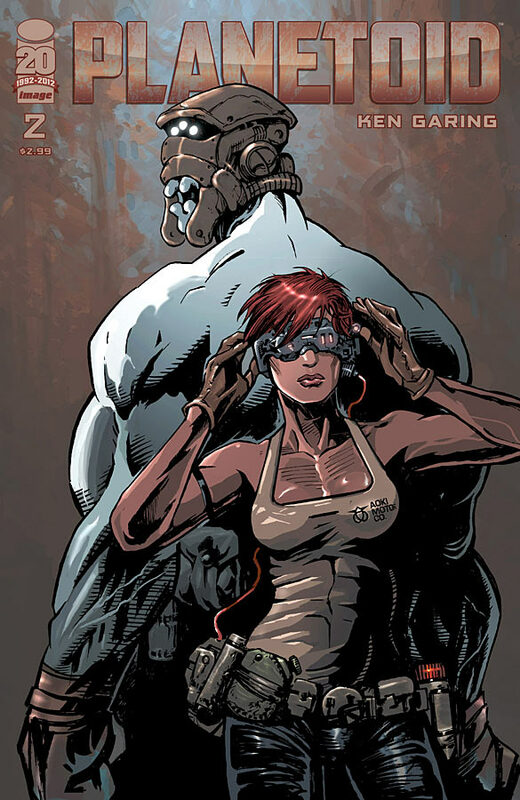 Laurie Juspeczyk would one day play a pivotal role in the fate of the world in the pages of WATCHMEN, but before then, she was a young girl trying to follow in her mother’s footsteps as one of the world’s greatest crime-fighters–whether she wanted to or not. “San Francisco, baby. The best part of the trip…is the trip.” Plus: Don’t miss the CRIMSON CORSAIR backup story by writer LEN WEIN and artist JOHN HIGGINS! After crash-landing in a vast heap of space junk, wayward space-pirate Silas now journeys on to an area of the planetoid, known as “The Slab”. It’s rumored that human tribes eke out a living on this endless surface of fabricated metal… BUT, so do gangs of sadistic robots! Silas will have to gather information and find allies in order to make a stand against the larger tyrannical forces that control the planetoid. 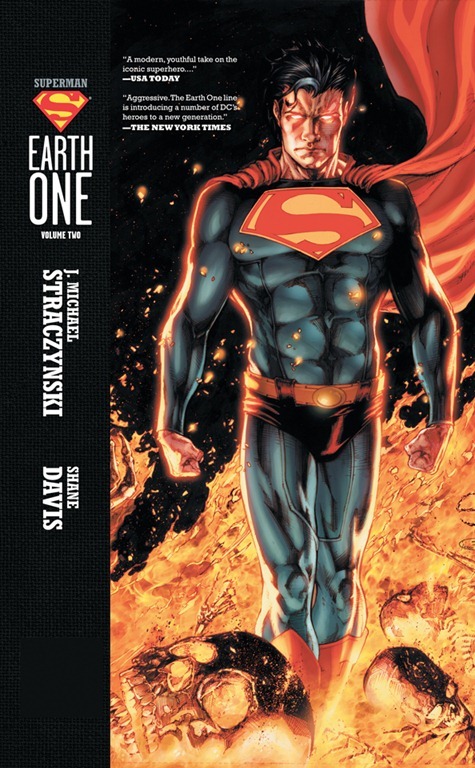 The highly anticipated sequel to the #1 New York Times best-selling graphic novel SUPERMAN: EARTH ONE by acclaimed writer J. Michael Straczynski and superstar artist Shane Davis is here! 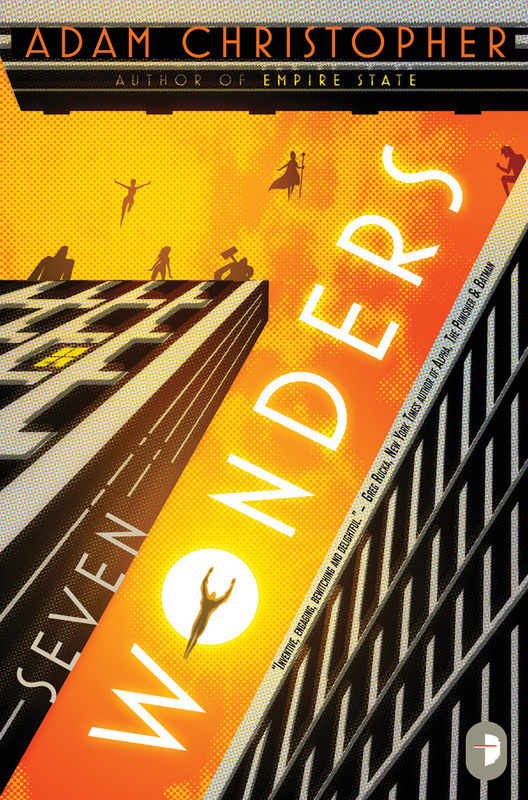 Young Clark Kent continues his journey toward becoming the World’s Greatest Super Hero but finds dealing with humanity to be a bigger challenge than he ever imagined! From a ruthless dictator to a new love interest who’s NOT Lois Lane, things are never easy for this emerging Man of Steel. And the worst is yet to come, in the form of a man-monster with an insatiable appetite, the Parasite! The only thing that might appease his hunger is The Last Son of Krypton! But that will also mean he will have Superman’s powers without his conscience, and Kal-El learns to live without powers beyond those of mere mortals. 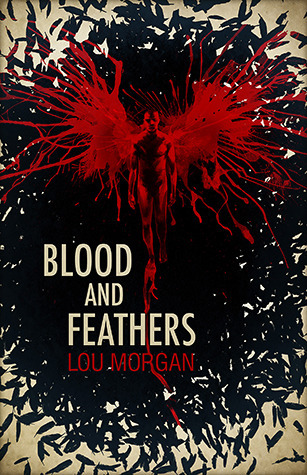 The dark streets of London are increasingly dangerous as murderers, mystically devoid of emotion, begin to impact the lives of Angel and Faith. In unraveling this new mystery, the pair follow clues in the Watcher’s Files to a demon from Giles’s past and a “child” from Angel’s. Then, Drusilla returns to her homeland and becomes the hot new vampire in the underground scene! While Angel faces Dru, Faith must deal with issues that reawaken her inner turmoil—a visit from her deadbeat dad, who’s looking for a favor, and a troubled Slayer hell bent on revenge. 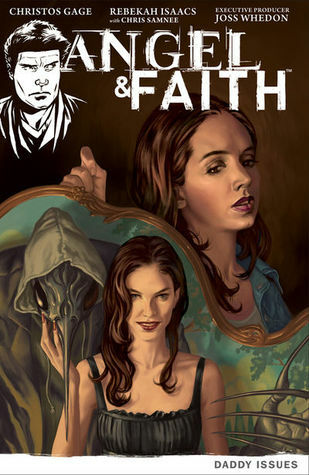 Collects Angel & Faith #6–#10. 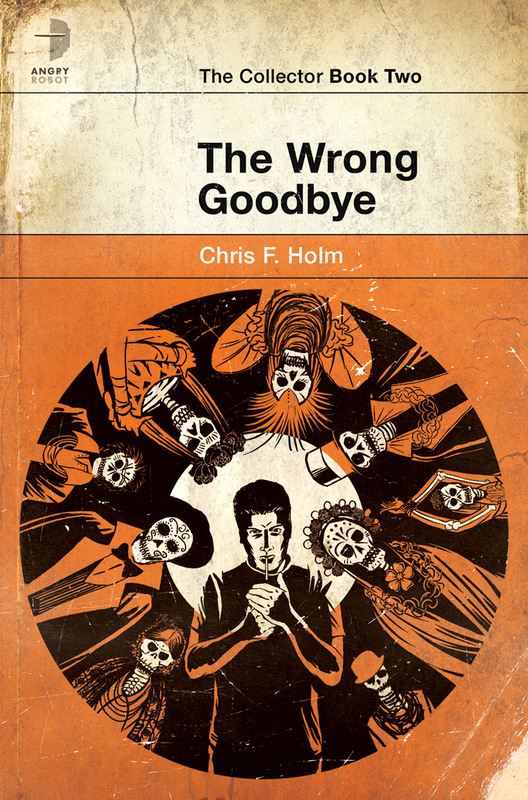 * Includes the one-shot featuring Giles’s magical great-aunts! 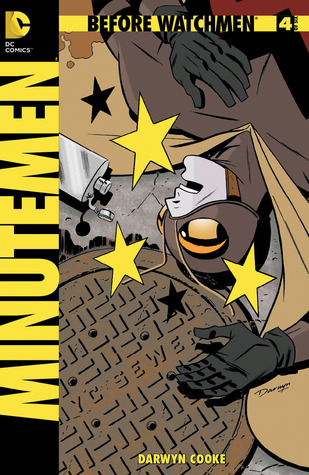 * With guest artist Chris Samnee (Serenity)! 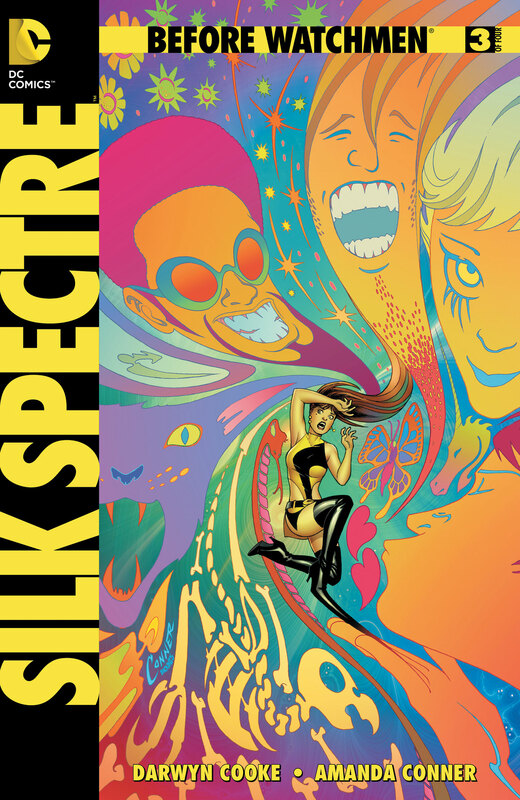 Join writer John Rogers (Blue Beetle) and artist Andrea Di Vito (Annihilation) as they bring us a tale of high adventure and deep secrets. Adric Fell leads a band of heroes in a world where civilization has been reduced to a few scattered points of light amid a rising tide of shadows. 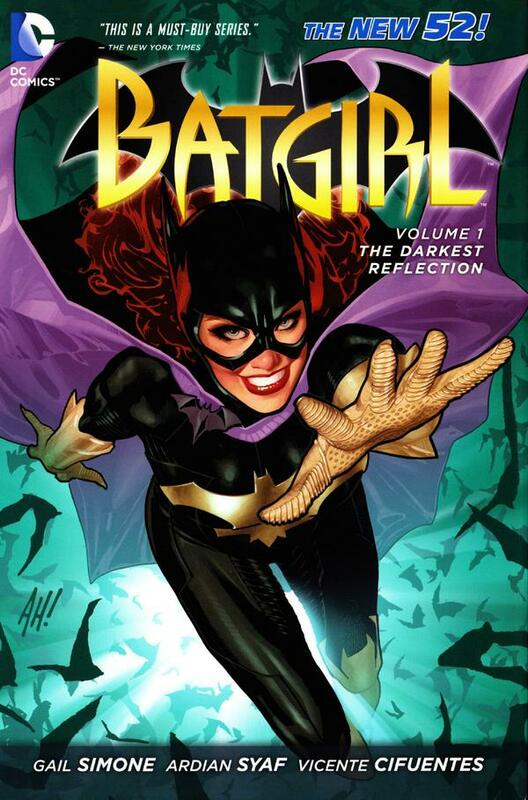 As a part of the acclaimed DC Comics–The New 52 event of September 2011, Barbara Gordon is finally back as Batgirl The nightmare-inducing brute known as Mirror is destroying the lives of Gotham City citizens seemingly at random. Will Barbara be able to survive her explosive confrontation with this new villain, as well as facing dark secrets from her past? 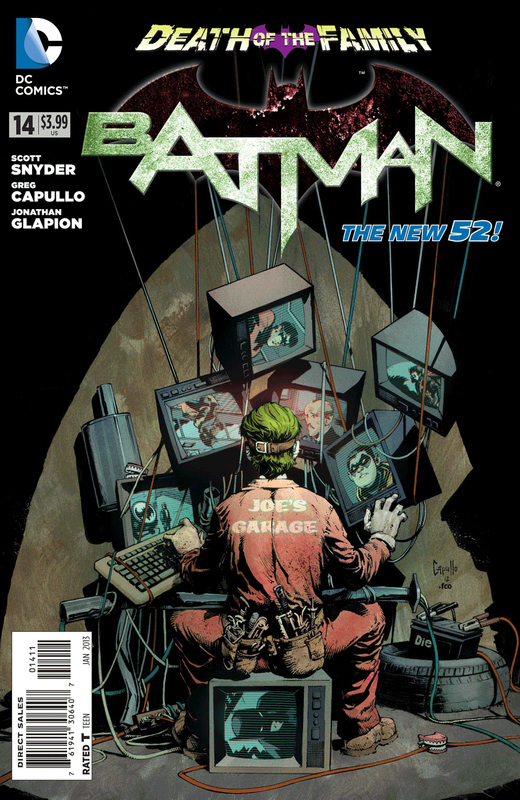 A new chapter in the riveting adventures of Batgirl continue in stunning fashion, with script by fan-favorite Gail Simone and stellar art by superstar Ardian Syaf This volume colles issues 1-6 of Batgirl, part of the DC Comics–The New 52 event. Decades ago, a girl named Alice was sacrificed into the horror-filled realm of Wonderland but her terrifying and awe-inspiring experiences there have been shrouded in mystery. The one thing known is that her time spent in a world full of insanity left her a broken adult. However, her courageous will to survive is what ultimately saved humanity. Now the story of Alice’s visit into Wonderland is fully revealed and the truth of the terror will be told in full! From Raven Gregory, Ralph Tedesco and Joe Brusha, the same minds behind Grimm Fairy Tales and Return To Wonderland comes the newest series that Zenescope fans have been waiting for. 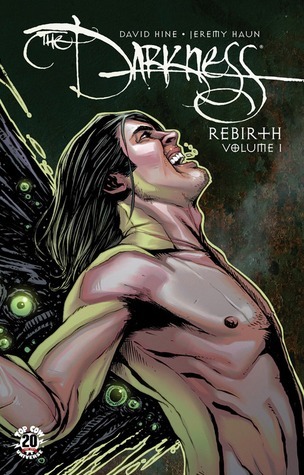 What every Zenescope fan has been waiting for is finally here! Follow Zenescope back down the rabbit hole and find a world of madness like you have never seen before! The blood-soaked tale of the last surviving member of Emperor Palpatine’s Royal Guard is now complete in one dust-jacketed hardcover edition! From revenge to redemption, the story of Kir Kanos takes him from the deserts of Yinchorr, to the halls of Imperial power, and to the inner circle of the New Republic. Included are encounters with Darth Vader, Boba Fett, Luke Skywalker, and Leia Organa Solo. 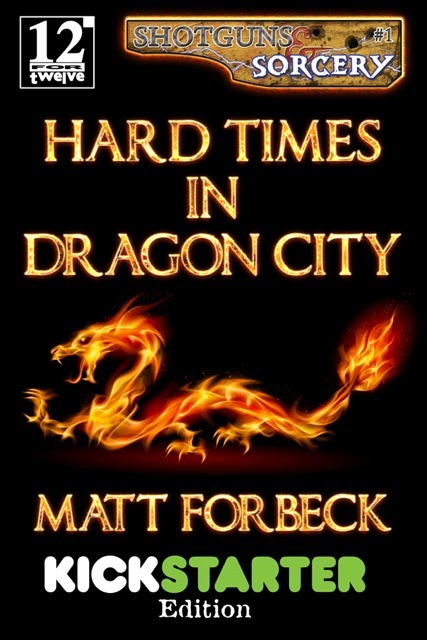 An epic tale in one epic tome! 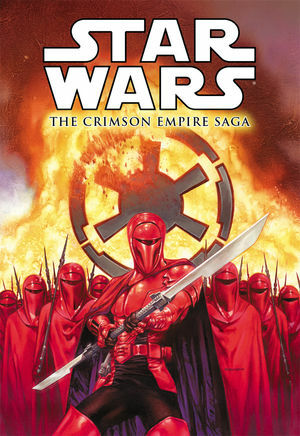 *The complete Crimson Empire Saga in one deluxe edition! It’s the ULTIMATE AMAZING SPIDER-MAN EVENT OF THE YEAR, as Spider-Man comes face-to-face with …Spider-Man! 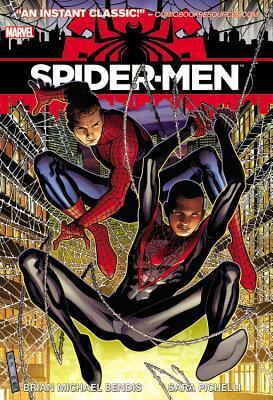 Can even Peter Parker and Miles Morales – the Spider-Men of two worlds – defeat Mysterio, the Master of Illusions? And what happens when Miles encounters an older, wiser version of his inspiration, Peter Parker? Guest starring Nick Fury and the Ultimates! Be here for the story that makes history, as Brian Michael Bendis tears down the walls between the Marvel Universe and the Ultimate Universe! Long before the King of the Seven Seas joined the Justice League, Aquaman was a part of another super-team: The Others. These young costumed adventurers traveled the globe, each trying to find their own individual road to redemption.Six years later after a grisly murder, The Others are reunited. They know only one man could be responsible: Black Manta. Aquaman must lead the charge to stop his arch-nemesis, but will the years have fractured The Others just enough to keep them from bringing this villain to justice? 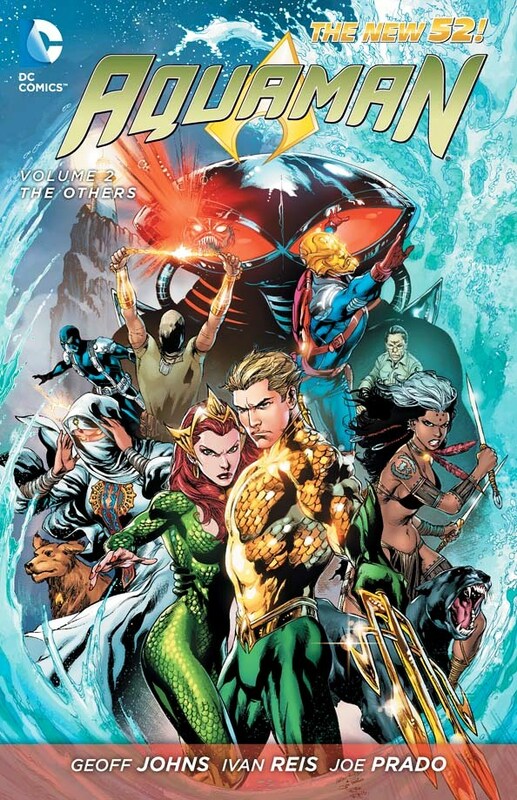 By the critically acclaimed creative team behind BLACKEST NIGHT Geoff Johns and Ivan Reis, AQUAMAN VOLUME 2: THE OTHERS is the heart-stopping heart stopping follow up to the #1 New York Times best-selling AQUAMAN VOLUME 1: THE TRENCH. 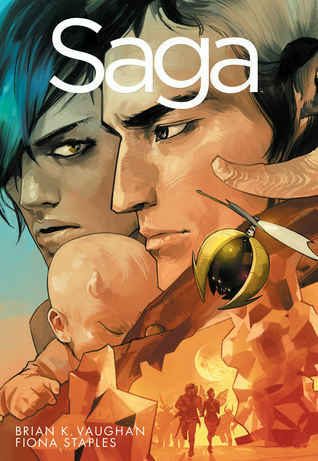 This volume collects issues #7-13, as well as the special #0 issue. It’s just another average day for Bliss, an ignored linguist at the Department of Defense. However, when Bliss unlocks the secret translation of an ancient scroll, terror rains from the sky… in the form of the BATTLE BEASTS! 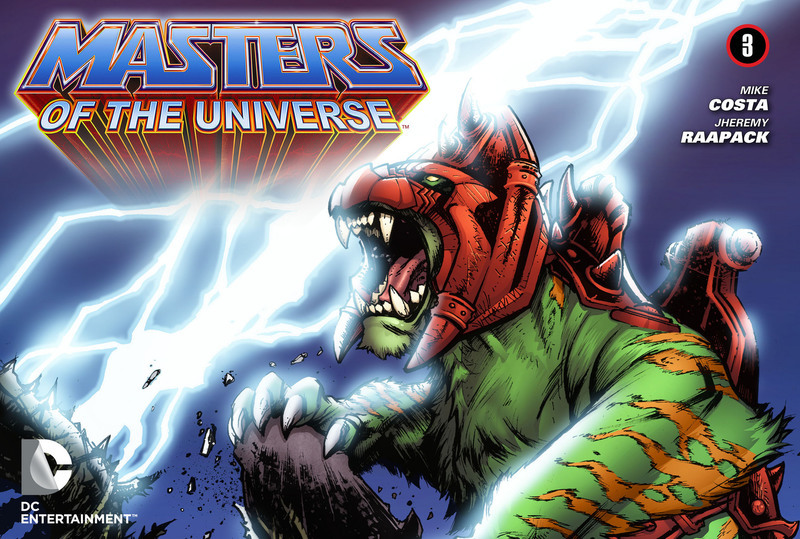 Unstoppable creatures armed to the teeth, the Battle Beasts are determined to make Earth their own personal war zone. Nothing can stop their merciless carnage. Nothing except perhaps a gentle word from the one woman who can understand them—Bliss! Posted on December 30, 2012, in 2012 Reading Challenge and tagged 2011 Debuts, 2012 Debuts, Adam Christopher, Alice in Wonderland, Amanda Conner, Andy Hartnell, Angel & Faith, Angels, Angry Robot Books, Aquaman, Audio Dramas, Audiobooks, Batgirl, Batman, Battle Beasts, Battle Cat, Before Watchmen, Ben Counter, Birds of Prey, Black Canary, Black Library, Blood and Feathers, Blood Angels, Bloodquest, Bobby Curnow, Brian K. Vaughan, Brian Michael Bendis, Buffyverse, C. L. Werner, Captain Leonatos, Chris F. Holm, Christos Gage, Comics, Courtney Schafer, Crimson Empire Saga, Crown Conspiracy, Danger Girl, Dark Horse Comics, Darwyn Cooke, DC Comics, Dead of Winter, Dragon Apocalypse, Duane Swierczynski, Dune, Dune Chronicles, Dungeons & Dragons, Dynamite Entertainment, Earth 2, Eli Monpress, Epic Fantasy, Fantasy, Frank Herbert, G.I.Joe, Gail Simone, Garviel Loken, Geoff Johns, Graphic Novels, Greatshadow, Grey Angel, Grimm Fairy Tales, Guy Haley, Hard Times In Dragon City, He-Man, He-Man and the Masters of the Universe, Helen Lowe, Horus Heresy, IDW Publishing, Image Comics, Iron Warriors, J. Michael Straczynski, Jackie Estacado, James Maxey, James Robinson, James Swallow, Jane Carver, Jane Carver of Waar, Jason Aaron, John French, John Rogers, Joker, Justice League, Katy Stauber, Keith Giffen, Ken Garing, Lee Collins, Lou Morgan, Marvel Comics, Marvel Now, Matt Forbeck, Max Gibson, Michael J. Sullivan, Mike Costa, Mike Richardson, Minutemen, Nathan Long, Nathaniel Garro, New 52, Orbit Books, Prophecy, Rachel Aaron, Randy Stardley, Raven Gregory, Reading Awards, Red Sonja, Riyria Revelations, Ron Marz, Saga, Salamanders, Sam Thornton, science fantasy, Science Fiction, Scott Snyder, Self-published, Seven Wonders, Shadowplague, Shattered Sigil, Shotguns & Sorcery, Silk Spectre, Skeletor, Solaris Books, Space Marine Battles, Space Opera, Spider-Man, Spider-Men, Spin The Sky, Star Wars, Stargirl, Strike and Fade, Superheroes, Superman, Superman Earth One, Supernatural Fantasy, Sword of Truth, Swords of Waar, The Darkness, The Heir of Night, The Siege of Castellax, The Spirit Thief, The Wall of Night, The Whitefire Crossing, The Wrong Goodbye, Theft of Swords, Thor, Top Cow Comics, Urban Fantasy, Vampirella, Vampires, Warhammer, Warhammer 40000, Warhammer Fantasy, Western, Wonder Woman, Zenescope Entertainment. Bookmark the permalink. 16 Comments. From what I hear, Gathering of the Lost will be following in its footsteps too!